The Crawford family were from Scotland but are buried at St Andrew's Church in Ashingdon. The grave is in a prominent position close to the church doorway. 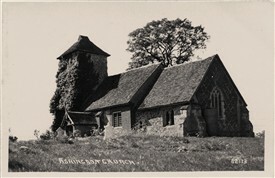 The first attached postcard view dates from the 1920s and shows the gravestone just left of centre. 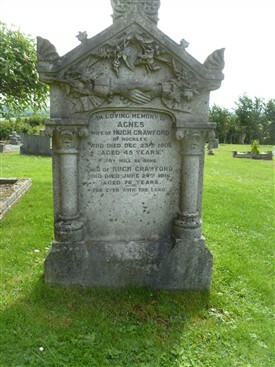 The gravestone in seen from the back but the second view shows the inscription recording the death of Agnes Crawford in 1901 and Hugh in 1916. See also article by Archie Crawford here. This page was added by Nathan Bell on 06/07/2016.